Audio effects innovators and creators of PLUS Pedal, Gamechanger Audio have made the world’s first online platform where anyone can take a guitar pedal for a test-drive. This is an actual PLASMA Pedal prototype set up in an isolated room playing tracks uploaded by users 24/7. Online platform “PLASMA Robot” is a part of their Indiegogo campaign and it allows anyone to upload a sound sample, dial in their desired settings using a set of remote controlled electric motors, and hear and see their track being turned into high voltage distortion via Youtube Livestream. The PLASMA Pedal campaign started March 10th when it reached the fixed goal in less than four minutes and raised over $100 000 in the first day. “We know how hard decision making can be, especially if it’s gear you’re buying. It is our belief that the best description of PLASMA Pedal is actually getting to play the pedal. 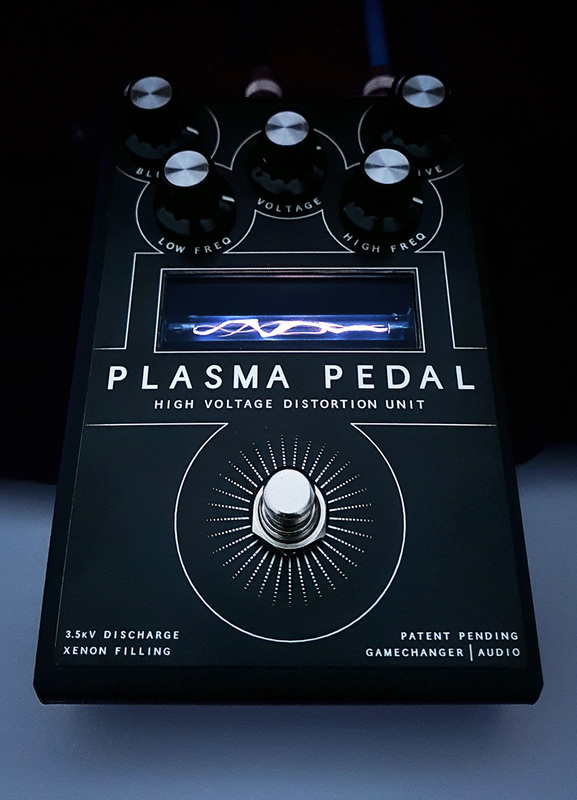 We think that PLASMA Robot gives you a pretty close impression of what the pedal sounds like in real life and also it’s just lots of fun!” explains Ilya Krumins, CGO of Gamechanger Audio. Go to www.plasmapedal.com to take PLASMA Pedal for a test-drive now!